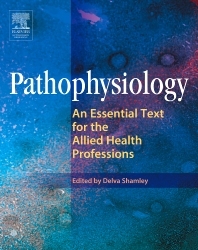 This book addresses key topics essential to pathophysiology, written especially for physical therapists, occupational therapists, and other rehabilitation professionals. Each chapter provides fundamental descriptions of diseases followed by current knowledge on the cellular and molecular mechanisms responsible for disease processes. Coverage focuses on the knowledge and skills required for successful patient care in the clinical environment, with specific chapters on muscle, nerve, and the pathophysiological effects of movement, immobility, and aging. Physiology material presented is particularly relevant to physical therapists and other rehabilitation professionals. Key points and summaries make the information accessible and easy to follow. Current evidence is presented on the biological basis of disease, and biological processes are linked to clinical manifestations and therapeutic management. Easy-to-follow flow charts summarize disease processes. Lists of journal articles and texts direct the reader to sources for more in-depth information. Radiographs, scans, and photographs illustrate disease processes. Dr Delva Shamley is a South African graduate and has been in academia for 26 years, 13 of which were spent in the UK. Her training and experience of clinical research comes from Oxford NHS and the Centre for Medical Statistics, Oxford University, UK. Delva has been training and supporting clinicians in Research Methods for many years. She returned to Cape Town in 2011 and started as Deputy Director of the UCT CRC in October of 2013. She has since been appointed as the Director for CRC.